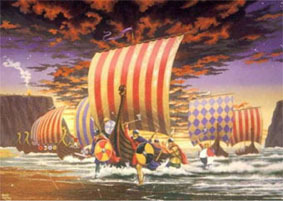 A Viking raiding party comes ashore, while in the distance, a warning beacon has been lit. - A5 image size on A4 card folded. - Printed on high gloss 300 gsm board with envelope.